Ken Gracey built this Christmas gift for his dad from plans for the NAMES finger engine. 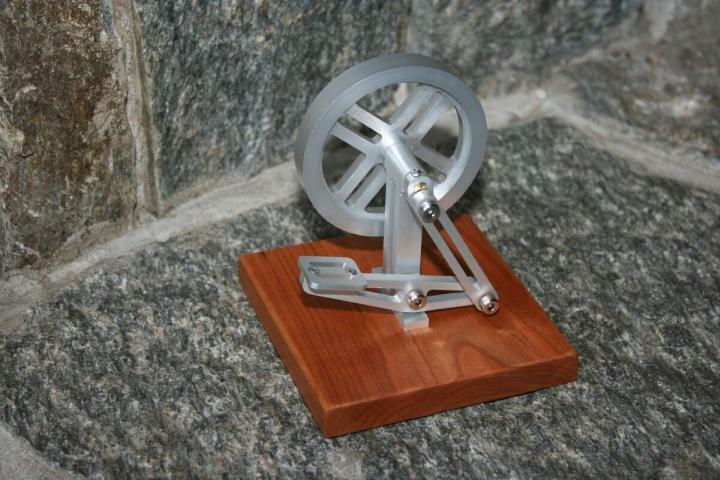 The engine was originally intended to be made on a manual lathe and mill but Ken made his version with CNC equipment. You can download his CAD drawings if you would like to do the same. You can also get the original NAMES plans from his web site and a video of his engine in motion. There’s a link to them on Ken’s web site. se despide de ustedes y pidiendo una oracion por su alma que descanse en paz, amen. Can anyone send me a copy of the plans for the “Finger Engine” ? The kengracey website is down. Hey – Found it !! Now.. if I can just figure out a way to post the .png file here..